The world’s greatest dog show, Crufts, was held from the 5th – 8th March 2019 at the NEC Birmingham. This prestigious event is screened throughout the UK and around the world, showcasing unique dog events, competitions and the much loved Best in Show! This year, we were thrilled to be invited to work alongside Elonex on the Royal Canin exhibition stand. Held annually in the UK and organised by the prestigious Kennel Club, Crufts centres around championship events but also includes a massive trade show of mainly dog-related goods and services. Sponsored by a range of canine associated businesses including Eukanuba and IAMS, the SLLFX team were tasked with working on P3, and P6 LED screen installations on the Royal Canin stand (another sponsor of the show), in Hall 5 and at various other locations across the site. Royal Canin provides a range of high-end cat and dog food products, synonymous with quality and nutrition. Partnering with Elonex, we supplied and installed three P3 LED screens positioned around the stand. 30 square metres of curved P3 LED adorned the top of the stand acting as a clear focal point across the trade show floor. 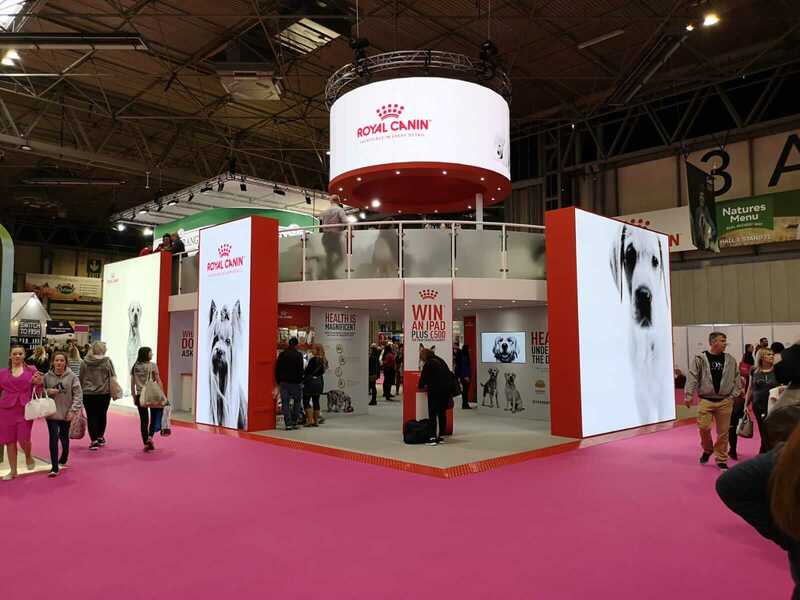 The screens were programmed to show various Royal Canin branded images and video, working in harmony with the red, white and black and white imagery that makes up the Royal Canin identity. Our P6 screen was positioned predominately in Hall 5, streaming all of the live action from the competition floor in the main arena. We rigged further LED screens throughout the site for streaming and advertising purposes. A team of 10 technicians worked on the project installation across two days, with a further day required to de-rig the Royal Canin stand and remaining screens around the site. Working directly with Royal Canin, the client was thrilled with the results, and so were we! The exhibition stand looked slick, bold and the LED screens we installed complemented the feel and professionalism of the stand really well. Live events and exhibitions are becoming an increasingly popular way for brands and businesses to engage with an audience on a face to face, interactive level. Our team have many years of experience between us designing and installing custom build exhibition stands that shine. If you’re exhibiting soon and want some advice on how to make your exhibition presence stand out, talk to our friendly, knowledgeable team today. Our NYE was spent working on installs for two of Birmingham’s most prominent venues, The Mill for Weird Science presents A Weird and Wonderful New Years Eve 2018 and Amusement 13 for 02:31 X Bass Collective: The link up 2.0. We supplied Weird Science at The Mill with 24 panels of our P3 LED screen alongside the Novastar VX4S processors. Our colleagues at the LAB Visuals were on hand to supply their services, controlling and mixing the visual content live on the screen throughout the night which included custom artist branding and graphics. Weird Science is one the UK’s leading independent event companies, producing events such as MADE Festival, A Weird and Wonderful… and Carnival Magnifico. When they’re not putting on amazing events, they’re touring worldwide with RAM Records. 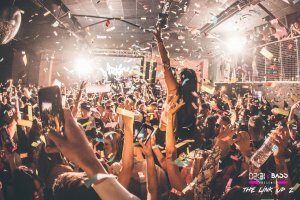 The artist line-up for the evening was split between two rooms, The Weird (drum and bass) and The Wonderful (bass); with headliners High Contrast and DJ Zinc both claiming 90 minute midnight sets both rooms were sure to go off. Alongside these two huge headliners were the likes of Dimension, who’s just completed his UK tour and Turno who is currently touring the UK making this a show not to miss. For 02:31 X Bass Collective at Amusement 13 we installed 15 panels of our P6 LED screen, which once again was run by our Novastar VX4S processors. The screen was positioned behind the DJ booth for maximum impact and a MagicFX stadium shot confetti cannon was fitted at the back of the room which was timed to go off at the stroke of midnight. 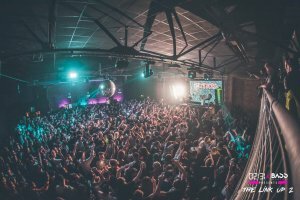 Bass Collective and 02:31 are both Birmingham borne bass and bassline events, so naturally they decided to join forces again for a New Years Eve extravaganza after the massive success of their first summer show together. 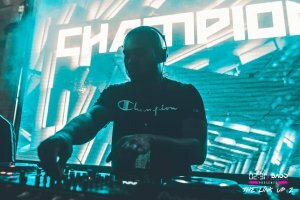 With a dynamic line-up such as Darkzy, Notion and Champion showcasing both brands core values alongside some of Birmingham’s freshest upcoming talent, The Link Up 2.0 was a perfect way to see in 2019. Got an event coming up that you’d like to talk to us about? Why not get in touch to discuss what we can do for you? 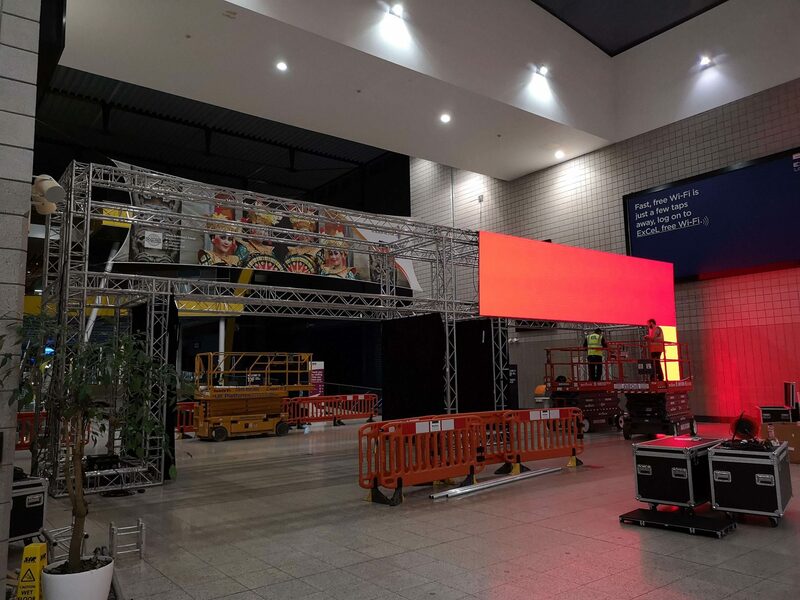 In November the team were at the ExCel London to build a 100sqm LED screen as an interactive double-sided archway upon entrance to the World Travel Market exhibition. For this project, we chose to work with our P3 screen renowned for its crisp, clear imagery. The structure was built as a focal point to grab the attention of the 51,000 attendees and almost 5,000 exhibitors. The World Travel Market has grown year on year and in 2016 an extra day was added taking it from a two-day event to three days to keep up with customer demand. With this in mind, creating an entrance that didn’t only catch the eye but engaged the attendees was essential to the customer. The screen’s primary purpose was to display adverts and videos promoting the Travel Market. The build took place over three days but due to the ExCel still having to function as usual throughout the day the team utilised the evenings to build through the night. The main body of the structure was built using Milos truss over the first night. The following two nights were spent installing the panels and six Novastar BX4S processors from which the screen ran off, and all content was run through Resolume. The team also draped around the whole structure so that none of the internal workings could be seen as you walked through the archway, keeping it looking neat and professional. Our dedication to our clients and commitment to delivering to tight deadlines makes us an excellent choice for large-scale conferences and exhibitions. Why not get in touch and see what we can do for you? Factually, technology is THE most changeable and fast-paced industry globally. With entirely new products and innovations taking the marketplace by storm every day, it’s vital that as a supplier or someone that works within the industry, you have an understanding of what your customers and prospects are looking for, and what will make the most impact at events. With today’s consumer becoming evermore technology savvy, the need for AV and events professionals to move with the times and the pace of this fluid landscape has never been greater. With this in mind, this months blog takes a look at 4 AV technology trends to watch for the remainder of 2018 and into 2019. The use of social media at events is becoming something of a standard. From exhibitions and conferences to festivals and promotions; events of all kinds are harnessing the power of social not just from a marketing perspective pre and post event, but actually at events themselves. Instagram frames, Twitter walls and event hashtags are just some of how the industry has utilised social to drive brand awareness and engagement. However, the trend this year has been all about creating live or time-sensitive content that online communities can engage with no matter where they are in the world. 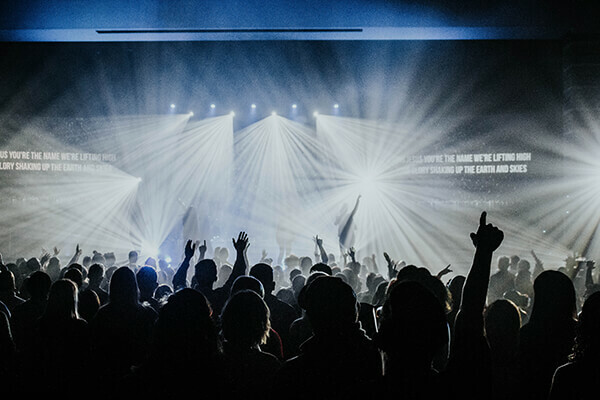 Live streaming can open up your event to a vast, untapped audience and help increase the impact of live experiences. Twitter walls and similar mainly use user-generated content to promote brands and the feelings of their customers to others. Instagram frames and other props can be photographed on-site at events and shared on social, again adding a more immersive, 360° experience for event attendees. 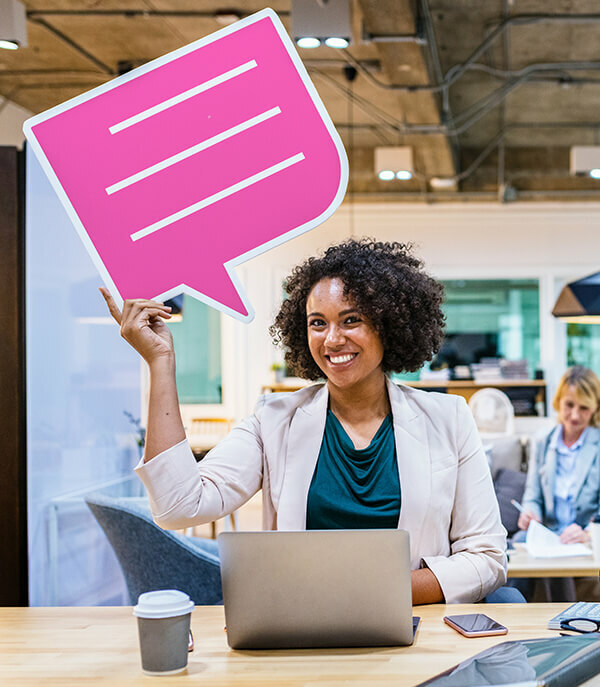 Furthermore, the great thing about social is that it’s an easily reportable marketing form, meaning that including its use at events will allow you to monitor success, engagement and how you can tweak your social integration strategy moving forwards. The exhibition industry is booming and is showing no signs of slowing down. 64% of survey participants in the UFI Global Exhibition Barometer Survey reported that they had added digital services and products around existing exhibitions, including the use of digital displays and signage. If you go to any large-scale exhibition or conference, you’ll see that the days of the pop-up banner are pretty much dusted. Digital design is where it’s at, and the possibilities for design when using LED screens, in particular, are immense. 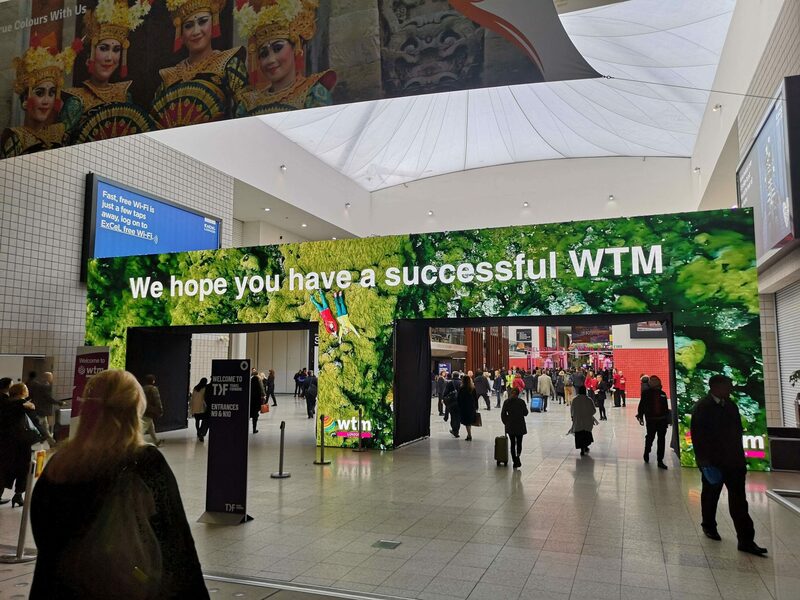 Throughout 2018, we saw a significant increase from customers in the exhibition and conference space wanting to utilise LED screens for exhibition stand build, displays or even more immersive builds like entrance walkways. LED screens not only look contemporary and captivate an audience, the great thing about them is they can be programmed to feature any video, message or branding a customer would want. Not only this, content can be pre-recorded, or mixed live at events, meaning that the design and content on the screens can be changed at the push of a button, as and when needed. While traditional print and graphics are still very prevalent, a vast range of sectors, brands and companies have leapt from using static graphics by using a variety of AV products, from permanent LED screen installations to touchscreens and more. The switch to digital is enabling businesses and brands to promote products, services and messaging in a modern and dynamic way, making their offering more captivating and enticing to consumers. This move hasn’t just hit businesses from an outside marketing perspective, the use of LED and more modern AV solutions can be found in office spaces, conference and exhibition centres across the UK and globally. Audio plays a huge part in the customer experience, and in the retail and consumer marketplace for that matter. Using quality audio can encourage purchases, change moods, create atmosphere and more. 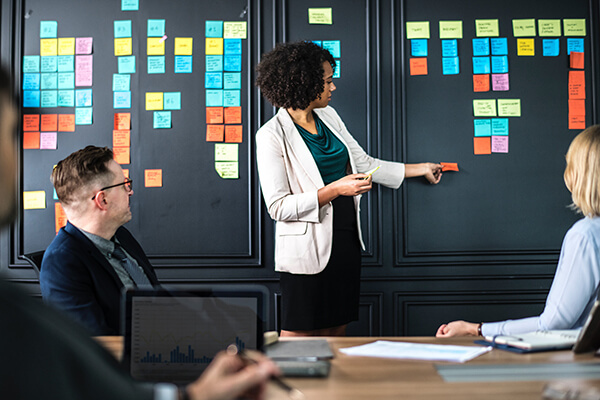 Overall, integrating AV into workspaces and public places can have a dramatic and lasting effect on people’s perception of a brand and the experience they had with it personally. Much like technology, the marketing sector is incredibly fast-paced, no sooner does one trend emerge, there is another to take its place a day later. A key trend throughout the marketing and event technology landscape is to allow consumers to feel a greater sense of ‘experience’ when coming across brands or attending exhibitions and events. Experiential marketing is a huge part of some of the world’s leading brands marketing strategies. But this doesn’t just lie with good videos on social and an interactive website; consumers want the brands they engage with to be within reach. The great thing about events is they provide brands with the opportunity to do just that; connect with their audience on another level by giving them something that they may not have seen or felt before. Using AV technology to create sights, sounds and effects at events, all in tune with a brand or theme is the ideal way to create a memorable marketing experience among consumers that will be talked about for months to come. SLLFX are proud to work alongside some genuinely incredible brands to create meaningful and unforgettable event experiences. If you’re looking to integrate AV as part of your 2019 marketing or event strategy, talk to a member of the team today about how we can help do just that. Planning an event requires a high level of organisation and an excellent level of attention to detail. It also requires a breadth of experience and covers a diverse range of skills. 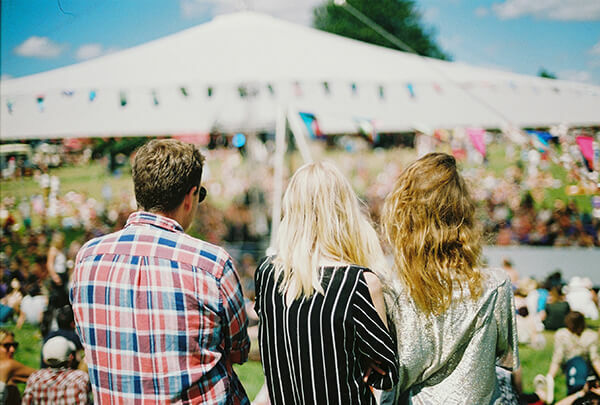 From the initial creative concept to marketing the event and ensuring health and safety requirements are met; organising anything from a charity ball to a two-day festival takes dedication, time and care to deliver. 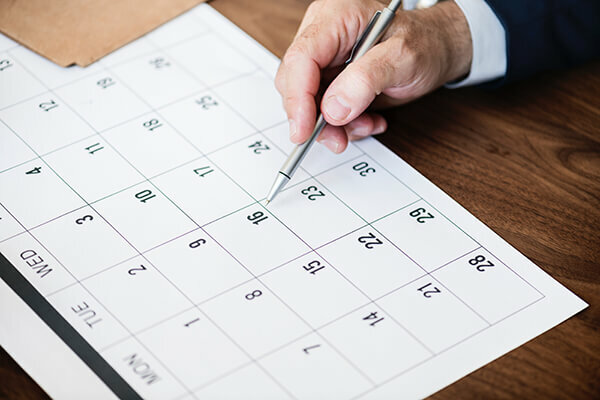 Make sure that you don’t plan your event during busy holiday periods which may affect your level of attendance, and be mindful of other events taking place that your target market may also be looking to attend. It might sound obvious, but setting out your objectives and understanding why your event is taking place is key to the project. Reasons may include brand awareness, promotion of a new product, networking or generating income. Whatever the objective behind your event, it’s essential that all aspects of what you’re setting out to do follow suit. 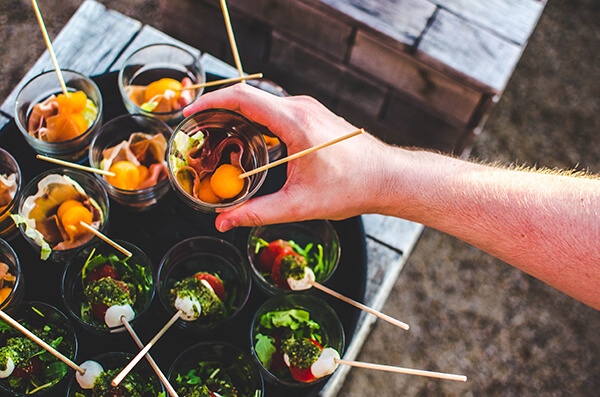 What supplier elements will you require for your event and whom will you approach to obtain them? Do you need caterers, flooring, lighting, audio and visual solutions? List the items that you will require and plot them into a time plan with costs allocated to each. This way, you’ll ensure that all of the components making up your event will be delivered on time and within budget. Within your plan, you should also include details of how you propose to market your event. There are many promotional tools available that you can use to promote what you’re doing. Free tools include social media and specific email marketing platforms (MailChimp offers a free package that includes design and broadcasting for example). It may be that you have the budget to allocate to a design agency that can work on drawing up creative elements for you such as flyers or direct mail pieces. The people you employ to work with you need to be trustworthy and highly skilled. Particularly where the timely delivery of a project is concerned, the people working at an event are instrumental to its success. 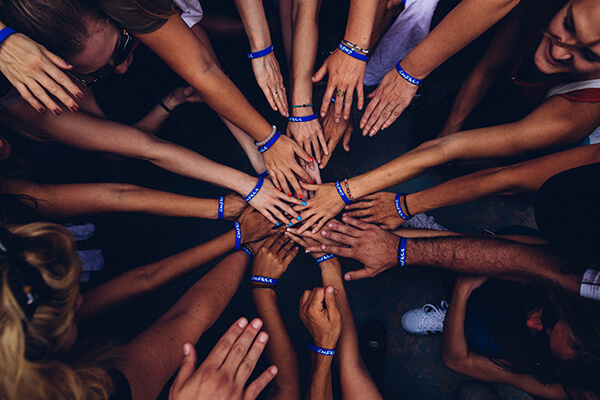 From the staff on the day to caterers or volunteers; hand-picking your team based on your experience with them, or that of someone you trust, can go a long way to ensuring you have the right people around you for the job. Health and safety at larger events are paramount. If you’re planning on producing an event where hundreds of people will be attending as opposed to 20, the rules and regulations to allow you to do this must be identified and adhered to. Will you need a late night license? Door staff? Details like these are critical and will ensure that everything goes smoothly on the day. If you’re planning on running a series of events following an initial one, make sure your planning is as watertight as possible to ensure the smooth running of your event – you want your attendees to talk about it for all the right reasons! Customer satisfaction surveys and social media polls can play a big part in how you can make improvements moving forwards, and also encourage you to keep doing the things that worked well. With over ten years of AV and event experience under our belts, it’s safe to say we know a thing or two about planning an event. We hope you find these tips useful, but if you do want to talk to us further about an event your planning and how we can help you, get in touch.